With it being Halloween this week, we cannot resist making this preview a rather pun-filled one. A far from ghostly field will assemble in Shanghai, China as all the top boys from across the globe will be getting on their broomsticks and making the journey over. It will be hard for us to pick the bones out of the field this week, with so many people possessing such deadly course form. Stenson, Mickelson, Westwood, McIlroy, Hanson and Casey all have two or more top 10 finishes on this course, not to mention Garcia, Kaymer and Molinari who have all lifted the trophy on this track. 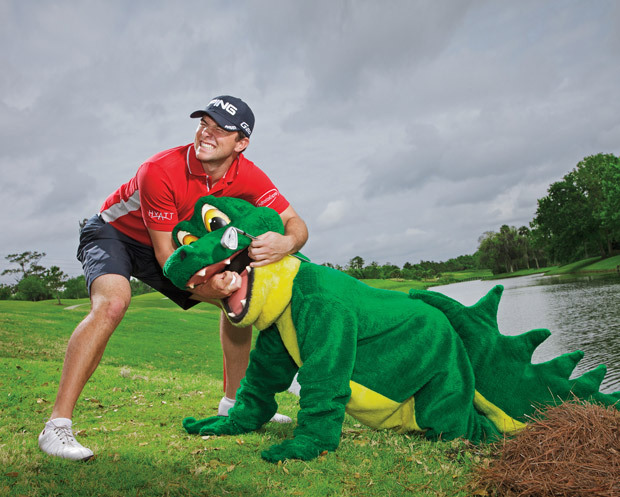 There is nothing scary about the 7,266 par 72 Sheshan International Golf Course this week. If ever a WGC event could be classed as a birdie-fest, this is the week. Kaymer (2011) -20, Molinari (2010) -19 and Mickelson (2009) -17 were the previous winning scores here. It shows you need to go low if you want to walk off into the mist with the Old Tom Morris Cup. So for us, this always highlights two key areas. GIR and putting. Taking 2011 as an example, GIR was by far the most crucial statistic, and it makes sense. The more greens you hit, the more putts you can sink. So anyone you back needs to have a magical week on these mysterious, undulating greens. The course as a whole is renowned for just being a great all-round test of the best golfer’s game, which any WGC event rightly should be! Lanterns will be lit, pumpkins shall be calved, and golf will be played to the highest possible level. Let’s have a crazy 4 days! Oh.. and Tiger will not be there this week either. So which golfers are we throwing into the DownThe18th cauldron? Molinari hiding away from the scary Halloween weekend. He won’t be hiding from the leaderboard come Sunday however. 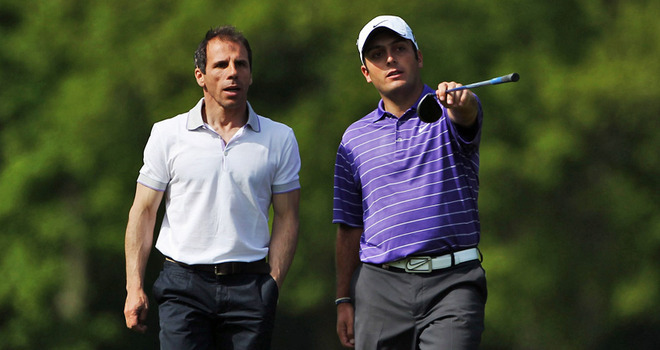 We have all seen resurgence in the form of Francesco Molinari in recent weeks. It has been mentioned before on DownThe18th that he has not had the greatest year by his very high standards, so to start clicking now, it could propel him to a hefty Race To Dubai position. He is winless in 2013 but only 1 shot off a playoff last week will give him plenty of confidence, as he stormed up the leaderboard, pushing Fernández-Castaño all the way. What impressed us the most was his marked improvement on the greens. The bentgrass surfaces of Lake Malaren are identical to this week and in putts per round, he never finished outside the top 3 in the field. 112 putts for the tournament shows incredible consistency and when you add in to the fact his irons are looking in good shape once more, then he is a real threat here. Back in 2010 he picked up his first big trophy by winning this event on this very course, so he has proved he can transfer his abilities onto this track, whilst a T9 in 2006 gives another positive. If the Italian can putt like he has done in recent outings, then the rest of his game should fall into place and considering the odds of players higher up, he could prove great value. Casey showing his sadness that he will be missing trick or treat. You have some weeks where a player is just too good to ignore, this week Casey is exactly that man. Someone who has recorded 6 top 10’s in their last 7 starts on this track (other finish was 11th) then it shows they have intimate knowledge of the course. We have spoke of a lot recently of Casey’s decline in form over the past couple of years. A mixture of swing problems, injuries and other personal reasons saw the former world number 3 plummet down the rankings. But over the past few months the Englishman has been back with a vengeance, winning the Irish Open title on the European Tour and also putting in a string of other solid performances. Casey seems to have a bit of love affair for Asia. 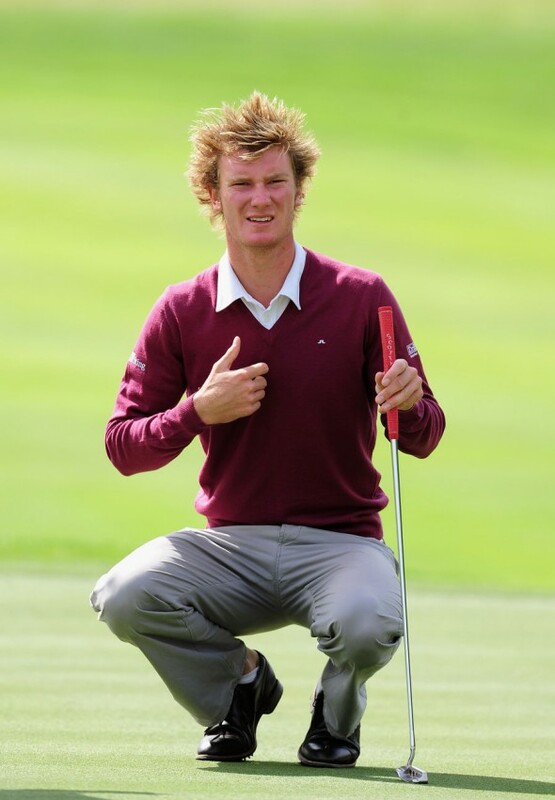 Even in 2013, he finished T8 in the Volvo China Open. Previously, Paul has won 2 titles on the Asian Tour in China, 2 titles in Abu Dhabi, not to mention his outstanding consistency on this track. And he comes here in fine form. Last week he recorded a very solid T8 at the BMW Masters, again in China, where he did not rank outside the top 10 in GIR all week and his driving was back to its ultimate best! For us, he is the real deal this week and we expect a big performance. Firstly, we must admit this is pick is a hunch more than anything; although certainly an educated hunch. When you look at the course, it is not the longest but there are 3 reachable par 5s and one par 4 that can be driven. Obviously, you need an attacking flair to go for the greens and Dustin Johnson is certainly one of the first names you think when it comes to an attacking golfer. Plus he can really batter a ball. His driving distances are well documented and he is known as someone who can go on a roll and score very low. In the last 5 years he is 27th in scoring average on the PGA Tour and is constantly top of birdie stats. There is no reason why DJ can’t perform this week, the only thing he needs to is find his putter, because that at times can let him down. But a T12 2 weeks ago and T5 at the season ending Tour Championship will give him plenty of confidence. Just one of those players who decides to turn up randomly and lets just hope he brings his big tournament game to China this week. 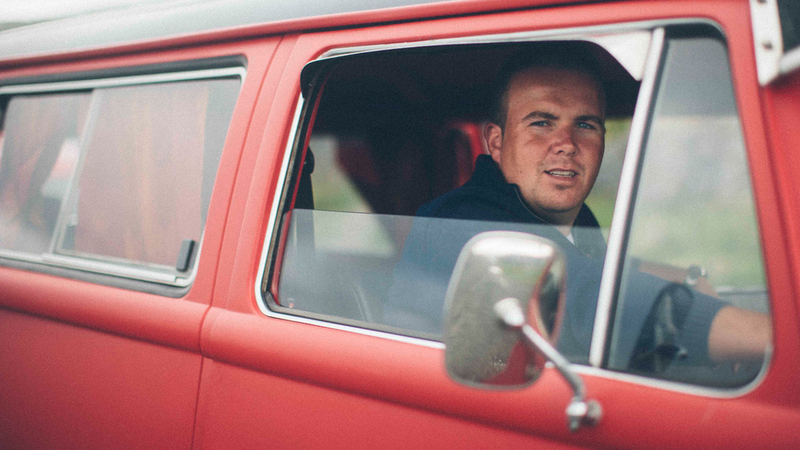 As you probably know if you follow us, the American is one of our favorite golfers. He took the plunge in coming to Europe a year back and what decision it was. He earned full-time status on the European Tour after his first win on the tour (Madeira Islands Open), and since then he has gone from strength to strength. 4 top 10’s in his last 5 starts is some going, including a 2nd at the Wales Open and a play-off defeat to David Howell at the Alfred Dunhill Links Championship, where he shot -23. And that was after narrowly missing out on a 59 on day 2. This course will be set up perfectly for Uihlein’s game. Going low, long off the tee and attacking those pins. People are going to question his credentials as this is a whole new level to what he’s been playing on, but we can assure you nothing will phase him. He has all the tools to do well, it’s just whether he can bring his mental game as well! Jaidee sees a ghost with his son. 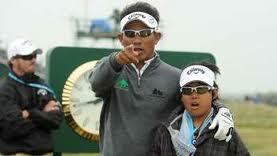 Thongchai Jaidee looked supreme on the greens last week, holing everything, as we know he can – eventually finishing T2. He is the sort of player whose whole game hinges on his short game and when he gets going, he can be very dangerous. He was never outside the top 12 for GIR or putts per round on each day last week and when you need to shoot low, he will come here with confidence and potentially do really well on a course he has played at many times before. Although he is yet to find a top 10, he has never given a woeful performance, so if his irons an putter continue showing the impressive form they did at Lake Malaren, then this outsider could be of great value. Just a quick one for you here. He is arguably one of the biggest hitters in the world and he is in some form at the moment. He has won 2 of last 4 tournaments and he’s swinging well. It’s as simple as that. Whack a few pence on him. It will be played on the Kuala Lumpur Golf and Country Club, 6,951 yards. The course is all about the iron play, with undulating fairways and difficultly accessed greens. It hosted the 2013 Maybank Malaysian Open on the European Tour. A connoisseur with the iron. He will love this course. Incredible course form, won in 2012 on this track for the European Maybank Malaysian Open and was 3rd in 2010. Also 4th two weeks ago. 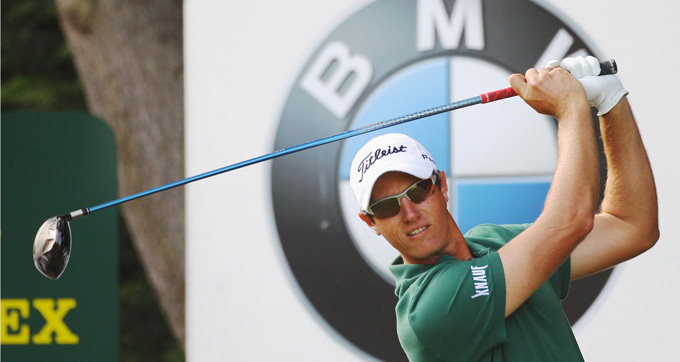 The first event in the final series begins this week as the BMW Masters comes to town. Well China town. 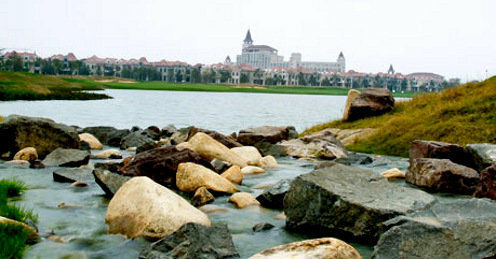 The beautiful Lake Malaren Golf Club in Shanghai plays host and we can all now get excited about the $30 million that will be on offer over the coming 4 tournaments. It is a Jack Nicklaus design and as we are all accustomed to from the golfing great, it is what you would expect – generous enough fairways with very tough pin position and hazards dotted around in the most unexpected places. He is a living genius. At 7,600 yards it is one of the longer tracks on tour, so the bombers will get a chance to unleash their muscles and rip it as far as they can. The further down the fairway they go, the better chance it is for birdie because predominately winning will come from the approach shots. GIR will be the most important aspect – a risk/reward sort of feel, attacking pins at the right time, whilst negotiating the bunkers and water dotted everywhere. An arty-farty picture but still a picturesque wonderland. These undulating greens will be tough at times, so putting will be another factor, but last year the players who finished strongly just seemed to get on a roll at one point or another and hole everything, whether they were historically good putters or not. There is the combination of long par 3s and 4s with reachable par 5s so these longer hitters will tend to be favoured but do not count out the strategists amongst the field, who will plan a birdie surge rather than a natural assault. The field itself is very strong, with the top 60 from Race To Dubai flying over, including the likes of everyone’s main man Henrik Stenson, the invited Rory McIlroy and Luke Donald. There are also plenty of home favourites for the locals to cheer on and trust us, there is definite value in some of these players even in the hype of the stars. You can pretty much cancel out the ‘big boys’ from a betting perspective with some horrendous odds – Louis Oosthuizen at 22s?!! Lee Westwood at 18s?!! Ross Fisher at 20s??!! We could go on. The Belgian Bomber had a very quiet 2013 season to say the least. His venture onto the PGA Tour perhaps didn’t go as planned which was a shock to many considering his outrageous length off the tee. But over the past month Colsaerts has found himself in more familiar and comfortable surroundings on the European Tour. After a withdrawal at the KLM Open, he has gone T4 Open D’Italia , victory at the Seve Trophy and then T15 last time out in Portugal. Now the Belgian thrives off form and he comes to a course in China where he finished 14th last year and was many people’s favourite. And you can see why. His game is set up perfectly for the course. His length off the tee will take advantage of the exposed fairways and his carefree attitude at times will give him the confidence to attack what will be some very difficult pin positions. It’s definitely time for Colsaerts to get his 3rd European title. The big hitting Austrian has been in and around our betting mix up for quite some time now, as we pondered over odds and whether this would finally be the week he gets a deserved 2013 win. He has been in and out of form throughout the year, but on many occasions showed signs of true class. 9 top 20s is a very solid return, however at times his putting has gone missing which has let him down in all honesty. We have seen him produce magical displays when approaching the greens and if he can combine his length and accuracy he will be a very interesting prospect. Wiesberger did play here last year, finishing a respectable T40 but his recent form will carry him through and he should be confident about where his game is. T3, T12 and T23 is not bad at all. We’re backing the American once more and you can’t really blame us after his play-off defeat to David Howell last time we were on him. Uihlein’s desire is there for all to see having skipped the usual American progression through the Web.com and decided to try his hand across the pond. 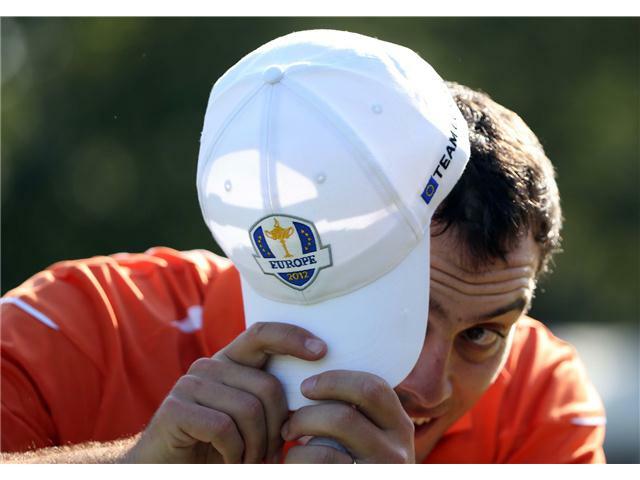 Between himself and close friend Brooks Koepka, they have played competitively in 25 countries in 2013. And the rewards are already being reaped, with Peter already bagging a European Tour title along with 10th place in the Race to Dubai list. 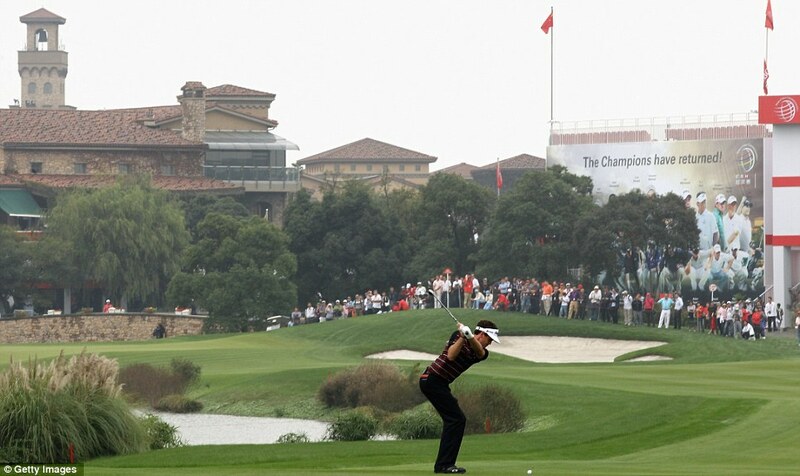 So he comes to China a confident man, one with no fear and with a game that could tear this course apart. Uihlein could very well match our number one pick Colsaerts for distance off the tee this week and his iron display at St Andrews was nothing short of sensational. (Except on the play-off…) So he is the real deal. We don’t know what it is about these young American’s, but they seem to just churn out big finishes week after week and there is no reason why Uihlein can’t do it again in China. Ashun Wu holding a shoe. The young Chinese prodigy. 28-year old Ashun Wu may seem like a random pick but out of all the long odd ridiculousness we have gone for this year, he is very worthy 4th pick. For starters, this is his home course. He grew up in an area further south but decided that this is where he could hone his skills, so the knowledge he will have on every nook and cranny will be unparalleled to anyone else in the field. His recent form is not to be underestimated either. T21, T3, T13, T37 and T11. 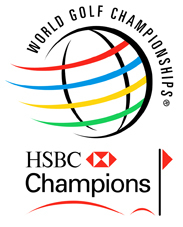 Considering all those tournaments were in Asia (mainly on the Japan Golf Tour) that is some going. Ashun Wu posing for the cameras. His driving distance is around 280 and that could hinder him but his acquaintance with the course should add that extra yardage and T29 in GIR on the Japan Golf Tour is very good. His best performances on the European Tour have all come in Asia, so we do not see any reason why he cant replicate his recent form and record what would be outrageous returns for all of us. In all honesty we are that excited by Wu, we won’t even make a pun. We really like this bet. As you know we follow the PGA Tour extensively, so it is always interesting when a few boys from American pop over and ply their trade on the European Tour. Now 90/1 suggests Guthrie is a massive outsider but we can assure you his game has all the tools for this course! Perhaps a big statement, but Guthrie is somewhat of a Nicklaus course specialist after his 3rd place on the PGA National Course for the Honda Classic! As we say, big statement. 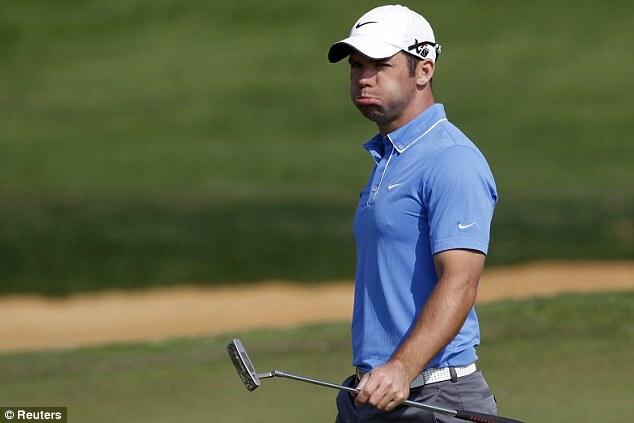 But Guthrie absolutely tore up the Web.com tour in 2012 which gave him PGA Tour status for 2013. With only two top 10’s last year it was perhaps a bit of a disappointment. 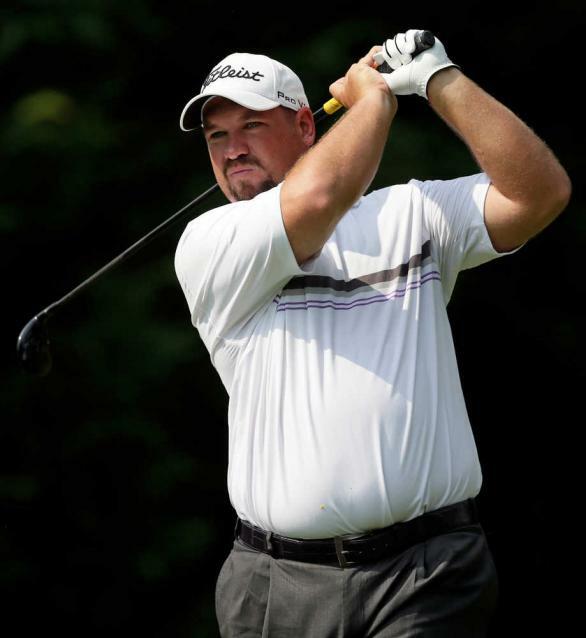 But in his second start on the PGA Tour for 2014 he did finish T5 and took home a cool $210,000. And he is also averaging 304 yards off the tee, which will be dangerous coming to a course where the bombers could potentially thrive! 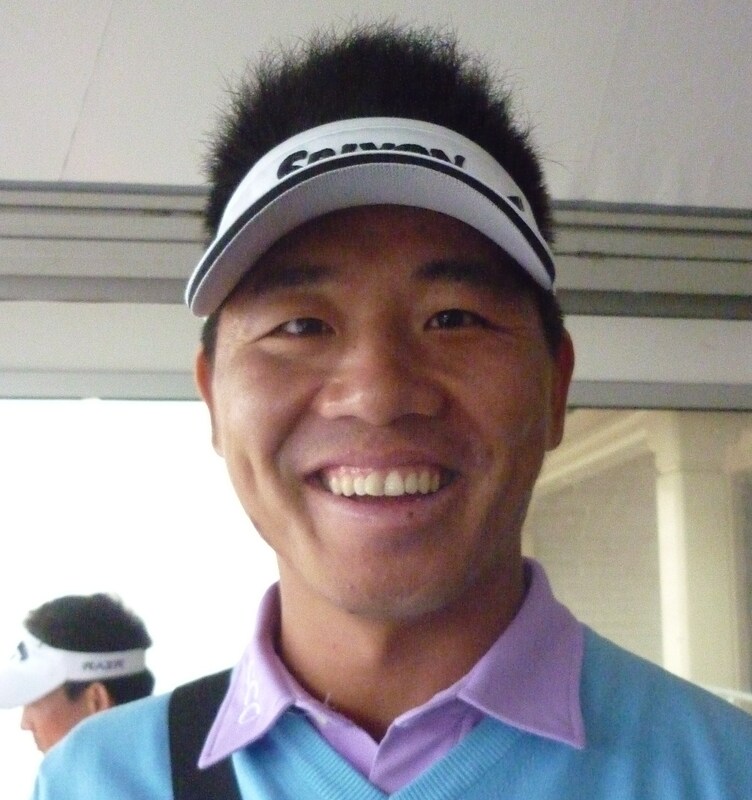 Wenchong Liang won us quite a bit of money back in March when he finished 3rd at the Avantha Masters in India. He was sublime throughout the four days and was unlucky to come up against a resurgent Thomas Aiken who ended up winning. He has recorded 3 top 5s on the European Tour this season and is currently 4th in the Asian Tour order of merit, which shows how solid his performances have been throughout 2013. But it is his recent form, which excited us the most. 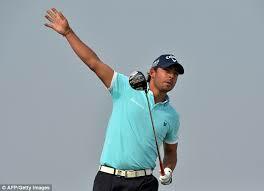 In a mixture of events on both the Japan Golf and Asian Tours he has finished T11, T2, T4 and T4. He is in a real hot streak and this could be another interesting outsider. After our unbelievably brief break from PGA Tour previews, we’re back and it’s only mid-October! Fed Ex points will be up for grabs just like any other point in the year and it’s often these tournaments that the ‘big boys’ are caught on their heels and maiden victories are claimed. Just like Jimmy Walker a few days ago. We watched Ryan Moore storm to his victory here last year, where he managed to get to -24. Key to his success was accuracy off the tee allowing for pinpoint approaches to the greens. The fairways are wide but being in the right position on them is everything. GIR will be a given for most this week, getting it close to the pin is where it counts. And then obviously we can’t forget putting, these birdie-fests often do turn into putting competitions, so don’t back any Lee Westwood’s out there. TPC Summerlin plays 7,223 yards and is the second easiest par 71 on the tour! Bombers will have joy off the tee, but the second shot is always going to be the most crucial. The Canadian’s 2013 season was quite remarkable eventually finishing with 7 top 10’s, a place at the Tour Championship and a slot on the President’s Cup side. We mentioned people claiming maiden victories and DeLaet will get a title very soon, that we are sure. With the lack of threat this course poses we don’t see why it will not be this week! In 2013 he ranked 1st in total driving, 3rd GIR, 19th driving distance, 16th birdie average, 21st scoring average and 4th in total birdies. His game is perfect for shooting low and is most definitely one of the best players in the field. One cloud that always looms over him is his ability with the short stick. But as 2013 wore on improvements were made and his performance in the President’s Cup will give him confidence on the greens. 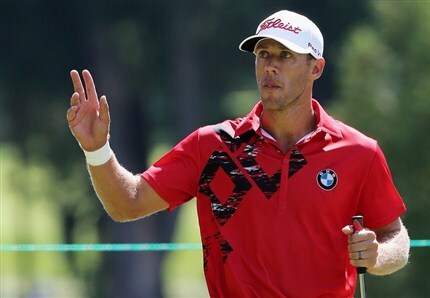 In 2010 DeLaet did finish 18th here and that was when he was a VERY different player! Arguably the man to beat this week. Whenever previewing a tournament where birdies are needed it is always very hard to leave out the big Zimbabwean. De Jonge ranked 1st in total birdies last year amassing an incredible 399, which will make him a very popular choice this week. He is also 26th scoring average, 10th GIR and 29th driving accuracy. Besides his taste for birdies, he does possess one of his best ever performances on the Tour last year on this course. 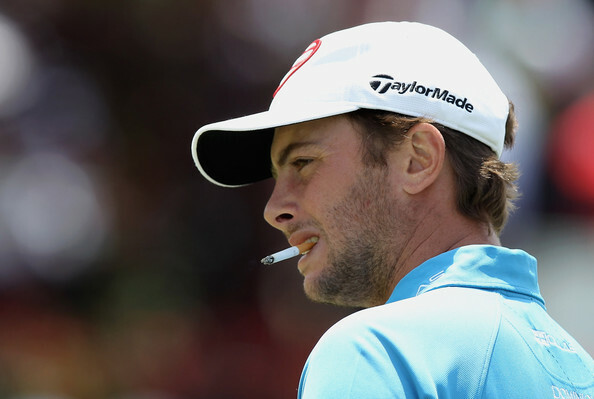 He shot -23 just one behind the winner Ryan Moore and in truth they were a class above the rest. That performance combined with a solid 2013 season will give him loads of confidence. And we cannot forget his impressive performance at the President’s Cup beating the likes of Woods, Kuchar and Mahan over the four days. He’s another man without a PGA title to his name and he will be looking to follow in Jimmy Walker’s footsteps. Our second Canadian of the week and again a really solid prospect. He is a player who we backed a couple of times last year and did weigh in with two top 10 finishes over the course of the season. He possesses very decent course form finishing 5th in 2011 and then 30th last year. He too has an eye for a birdie, managing to amass 18 last week. In 2013 he ranked 13th in total birdies and 20th in birdie average. Considering most of the people above him in those tables will not be here this week, that is impressive. Although a higher price than our two previous picks, Hearn is by far the best putter. In 2013 he ranked 15th strokes gained-putting and 4th in total putting! For us that makes him a dangerous player considering his knowledge of the track and ability with the short stick! After a VERY injury plagued 2013 Levin has found himself in some great form of late recording four top 10’s in his last eight starts. Last week in the first appearance on the PGA Tour this season he got himself a very respectable 10th place finish confirming he is well and truly over his injury. What makes us very interested in Levin is his love for this course. Before not playing last year, he finished 5th in 2011 and 4th in 2010. In 2011 when he was playing at his best, the American finished 3rd in total birdies racking up 405 of them and 11th in scoring average. So this guy loves to go low! Perhaps a more unknown prospect but we like the look of Spencer this week! This one is by far our most adventurous pick of the week and the odds suggest so. He has not played here and his form does not fly off the page at you. BUT in 2013 he ranked 13th in birdie average, 32nd in driving distance, 2nd par 4 birdie or better and 40th total putting. And he recorded three top 10’s in six starts in the mid part of 2013, so he has got the potential to do very well on his day. It is a hunch for sure but he shoots low and putts well, and on this course that means a lot! The end of the road is here for the European Tour regular season, as we await the final Race To Dubai standings before the four tournaments that will decide the overall winner of $3.5 million. If you want to know more about how the system works, then do check out this article on the European Tour, which should explain everything you need to know. As well as golfers fighting to get inside the top 60 in the rankings, there are an abundance of players trying to scrape inside the top 110 in order to keep their card for next season. This is where there will be plenty of intrigue for the Perth International because the pressure of competing for your playing privileges will surely make for some interesting golf. 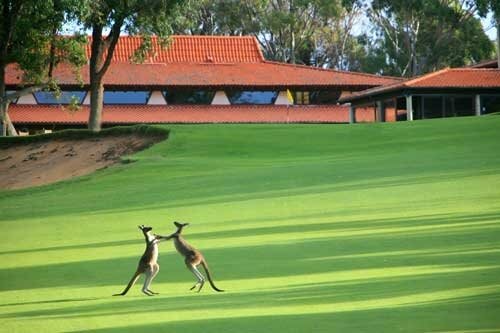 The tournament itself is held at the Lake Karrinyup Country Club in Perth and remains the only European Tour event in Australia. The par 72 course lies at 7,143 yards which is obviously short by today’s booming standards. However it is a ‘tricky’ layout where finding the fairway is a necessity in order to set yourself up for an attacking approach shot. Tee to green will be vital, but the winner will be someone who is a top scrambler and can hole putts on difficult greens. Jason Dufner did say last year that “players will need to use their whole bag” which proves how challenging this course is going to be. The field assembled is a mix match of Australian, European and PGA Tour members, so it is a difficult one to assess. The likes of Dustin Johnson, Paul Casey, Bo Van Pelt and Ross Fisher are in attendance but find themselves below 20s, which is far too short. Therefore, we started our search above that. And for the first time in DownThe18th history, the two of us who decide picks came together and found out we had EXACTLY the same 5 players as each other. Considering some of the odds you are about to see, it was an outrageous moment and we are feeling very confident about the week ahead. We are sure that this will be a popular choice for many punters because Brett Rumford is the local boy with 2 wins to his name this year and an intimate knowledge of the course. And when you think about his main attributes as a golfer, they do go hand in hand with the challenge this course demands. He is a great scrambler – 7th in the rankings, whilst his putting pretty much won him those 2 tournaments earlier in the year – 1st in putts per round. His form has been up and down in recent times, missing the cut in his last appearance, but recording 3 top 15s in a row before that. He is a player who thrives on the difficult layouts and at 25s we feel he represents good value considering the calibre of golfer. Plus, he is in a very healthy position in the Race To Dubai rankings and has every chance of catching Henrik Stenson at the top to take the crown, so home advantage and a passionate Aussie crowd all cheering you on can only do wonders for the mental side of Rumford’s game. We have all the faith in the world that our number one pick this week will do the business. Being another home favourite will certainly help Marcus Fraser, who comes into this tournament as one of the class acts Australia has to offer. Like his compatriot Rumford, he missed the cut on his last outing at the Alfred Dunhill but before that looked impressive in a string of 5 made cuts, culminating in a T8 at the Italian Open. This is the sort of form we are used to seeing from Fraser because he has had a disappointing year by his high standards. Yet he still finds himself in the top 60 for Race To Dubai, which will obviously lead him into the coming tournaments and he knows he has to play well here in order to assure his position. And when you think what is required here in terms of attributes, the Australian is another perfect match. 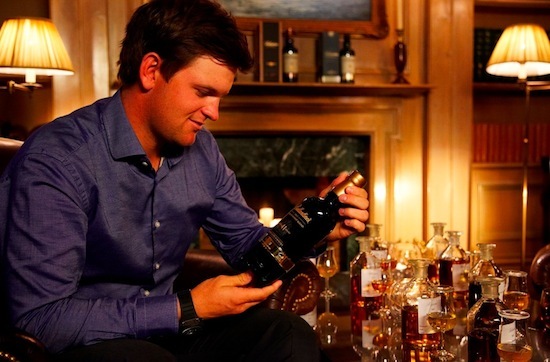 He is a great scrambler – 10th in the rankings and a fantastic putter – 7th in the rankings. He will be able to find ways to cope with the rigours of the course and we are very confident in both our Aussie stalwarts here. Make your country proud. Look at that wonderful bald head. The big bald Scotsman has had his name thrust around DownThe18th walls for a number of months this year because he became something of a jovial character after his swashbuckling, Indiana Jones-esque performance at the Trophee Hassan II. He eventually finished T9 then but his scrambling and par saving was never forgotten. Hence why when we saw his name entered for this tournament, we felt obliged to jump on it because he is another perfect fit for this course. 37th in scrambling and 36th in putts per round, he has the attributes to really do well here. He is one of the few who has played here before, finishing T28, which will give him confidence having got knowledge of the course beforehand. 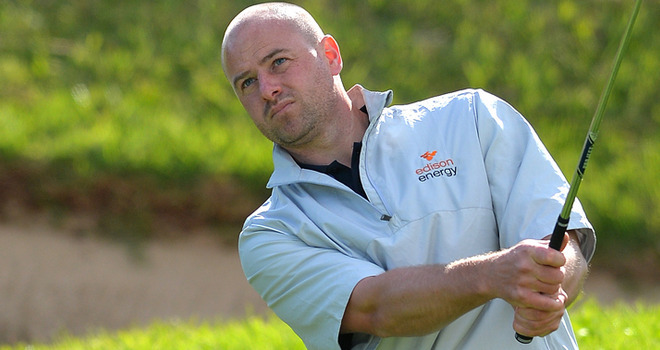 His recent form however is not overly impressive – 3 missed cuts in a row after his 2nd place at the Omega European Masters where he lost in a playoff to our other bald stalwart, Thomas Bjørn. That clearly affected him in the weeks that followed but this is crunch time for Lee and we have every faith he can pull something off. Scott Laycock is our third Australian this week and although you may never have heard of him, he is in outstanding form at the minute. His worst finish in the last 4 events is T16 and that includes 3 top 10s, so you have to consider him to be a contender when you are clearly swinging and striking the ball well. 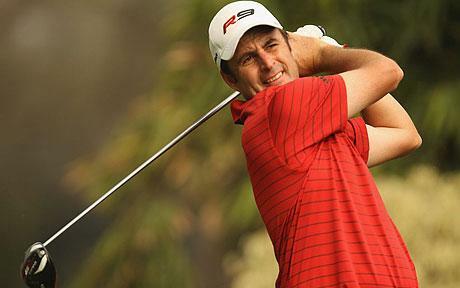 In fact he has moved up the PGA Tour of Australasia Order of Merit up to 7th which shows he has been in consistent form. He also finished T13 last year, when his irons were in fine fettle, but it was just his putting that let him down. If he can hole a few more putts there is no doubting Australia could be celebrating an unusual home victory this week. It will not be a Bland week. Richard Bland has not had the greatest golfing year by any standards and he is now scrapping at the lower ends of the rankings, trying to stay inside the top 110 in order to keep his card. This tournament will be of high importance to the Englishman and the pressure to do well should carry him through. He did play relatively well in Portugal last week, recording a T26 finish which helped his standings but it is in Perth where his fate will be decided. He finished T17 here last year which is a major bonus and he did everything well during that week, without really excelling in one department to push up the leaderboard. He is also a great scrambler and putter – 29th in scrambling and 32nd in putts per round, so he has every chance and at such high odds, it seems criminal not to get involved. We could throw in many puns with that sort of surname but we are deciding against it. For now. Karlberg is one of the promising young Swedes who has had a disappointing year, culminating in his current Dubai Rankings. He too will be fighting for his Tour card and has to play well this week in order to see another year. He is a great scrambler – 18th and putter – 15th in putts per round, so he has the game to attach this course. His form in recent weeks has been disappointing but T11 showing last week will give him that extra boost of confidence and considering he has at such high odds, there is no harm in chucking a few hard earned pennies at a very talented youngster. The penultimate week of the regular European Tour season is upon us as all the main men of the circuit have two weeks left to get themselves inside that top 60 for the Race To Dubai. Perhaps more importantly, many players will be vying to be inside the top 110, as they will be guaranteed their card for next season. Many names that have featured for us over the year are currently in perilous positions and I trust we are all praying for them before devouring our dinners – James Kingston (108th), Lee ‘Slatts’ Slattery (100th), Mark Tullo (115th), Simon ‘Shakey Wakey’ Wakefield (133rd), Fredrik Andersson ‘lose your’ Hed (135th) and Espen Kofstad (139th) to name but a few. All these stalwarts will be off to the golfing paradise of Vilamoura this week for the Portugal Masters. The Oceânico Victoria Golf Club will play host and is over a picturesque setting with undulating fairways, 4 lakes and many strategically placed bunkers. It is not one of the most challenging courses on tour (as the previous scores suggest) and because of the generous fairways, bombers tend to have an advantage as they can wield their forearms and let rip. Standing at 7,209 yards, the par 71 is not the longest either, but as always finding the greens will be the most crucial aspect this week. As you can see, generous fairways indeed. There is an ‘Americany’ feel to the layout, designed by Arnold Palmer, which is traditionally known to suit the longer hitters in the game. However, this week we really feel many stats are thrown out the window because it will all be out bottle and desire to get as high up those rankings as possible – let alone keeping your card for another year. The shot makers and guys who holed their putts will be near the top of the leaderboard come Sunday, so with all this in mind we have concocted a cheeky set up for this weeks picks. It’s always a bit of a gamble backing last year’s winner but we just cannot stay away from the Irishman this week. He’s been playing very consistent in recent weeks and his putting in particular has been outstanding. After a rest last week he will be fresh going to Portugal off the back of his 3rd place at the Alfred Dunhill Championship. And over three different courses in Scotland, he ranked 2nd in putts per GIR and 1st in putts per round. Now that is dangerous considering Lowry walked away with this last year being 1st in putts per GIR and 3rd putts per round over the four days in Portugal. Lowry has firmly booked his place in Dubai so there will be no worries there but there is the slight chance he can still sneak into the top 10, and he will be well aware. An Italian great, with another Italian great. Too many greats, its just so great. We were quietly surprised to see Francesco Molinari start out at 28s this week, after finding himself in the low-mid teens for many tournaments throughout the year. Ultimately, Molinari has not had the greatest year by his high standards and this has been reflected in his results. 4 top 10s is simply not good enough and what has been discouraging is how his iron play have not been what we all know they can be. However, in his last few outings there have been signs of a resurgent Italian, desperately trying to force his way through the masses and finding the approach shots he is renowned for. At the Seve Trophy he battled his way through the first 2 days, unlucky to only pick up a half, whilst on the Saturday he seemed hindered be another disappointing Olesen performance. But on the Sunday he came up against an on-fire Chris Wood and surged to a 3&2 victory, showing his true class once again. The week previous at his home course, where the pressure was akin to a Gladiatorial death match, he solidly finished T16 after delighting the crowds on the opening 2 days. He was 3rd in driving accuracy and 17th in GIR that week and if he can get his putter going there is no reason he cant shoot well here. He has turned up in Portugal before, recording two T2 in 2010 and 2009, never missing the cut and having T38 as his lowest finish. That is not bad now is it? Injury free and wide fairways, what more could the big hitting Spaniard want. Coming to a course where conditions will be similar to that in his native Spain, the juices are sure to be flowing. And he won on this track in 2008! It’s been a long hard road recovering from various injuries for Quiros but in recent weeks we have seen glimpses of what we all know he can do. The final component that needs to be added is that all important consistency. Other than a missed cut last year, his form in Portugal has always been consistent, only finishing outside the top 20 once. He does have his Race to Dubai ranking hanging around his neck this week too, with him currently lying just 4 places inside the top 110 all of whom gain their cards for the tour in 2014. This will surely give him great inspiration to have a big week. With all our other bets there is a sensible feel to them. But with Quiros, he could quite easily miss the cut and be drinking sangria with his family across the border before the third round has even commenced. BUT he could quite easily win this as well. Just keep thinking about those wide fairways and the fact that the Spaniard topped the driving distance charts 4 out of the last 6 years. Swing away Alvaro. The lanky Englishman as you might know is a real favourite of ours at DownThe18th. And it was heart-breaking to see him lose for the first time EVER in the Seve trophy last week. (He had only played it once before though..) None the less, we felt he played really consistently and was just out played in the matches he lost. When you actually look at the quality of golfers at similar prices, Wood really does stand out. People may question his form but he has recorded two top 10’s in his last five starts. He comes to this course having only played it twice and recorded a 10th place in one of those back in 2008. 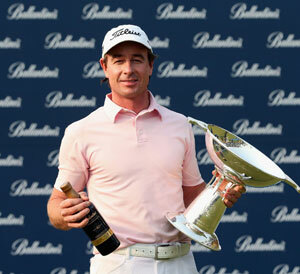 And quite honestly he comes here a different man now having won his first European Tour title in January of this year. Shane Lowry proved last year putting is key on this course considering the width of the fairway, and Wood ranked 1st in putts per GIR and 4th in putts per round at the Alfred Dunhill. At 50/1 you cannot go wrong with Big Chris. Our favourite, enigmatic and temperamental Spaniard. No not Sergio Garcia, but his sidekick Pablo Larrazabal. We have had many turbulent days following Pablo, as he amazes you with shots you thought impossible, before losing his head and carding a ‘Sunday Medals on your local course’ round of 90. That was a slight exaggeration, but the point is he has got the hallmarks of a golfing schizophrenic when it comes to his temperament and in all honesty, we love him. During the middle part of the year (when we were backing him quite a bit) he went on a run of 7 top 20s in 8 outings, before a couple of missed. He then went to the Irish Open and fell to pieces in a final round 75 to finish 4th and from there missed 6 cuts in a row. However, a random resurgence at the KLM Open where he finished T9 will give him confidence, especially because he shot a 65 and 2 66s. Whilst a 63 on his last performance in Scotland on his way to a T17 finish hopefully proves that he is back. He can shoot very low when his game is on and has the perfect attributes to match the challenge here – never missed a cut. Long off the tee and iron play as flamboyant as anyone. If he finds greens, he finds birdies. Trust us. Alfred Dunhill – T1, Lyoness Open – T1, Johnnie Walker Championship – 2 shots off the lead, BMW International Open – 2 shots off lead, KLM Open – 3 shots off the lead. So, we thought we would be slightly cheeky and dip into the first round leader market for the young Englishman. He has previous course form here as well, which was rather interesting – he won 2 years ago – and Alfred Dunhill was his last outing. In theory he should be feeling confident coming here and this could be a great way to start the week! For both the Presidents Cup and Seve Trophy we will try and get together a few cheeky accumulators over the 4 days, looking at the players we fancy. It always captures our imagination these team matchplay events, so we hope you are just as excited as us and do check back to see what ideas and thoughts we have! Our initial thoughts in terms of the overall winners are with America (1/3) and Continental Europe (4/7) but our main focus will be on the day to day matches.